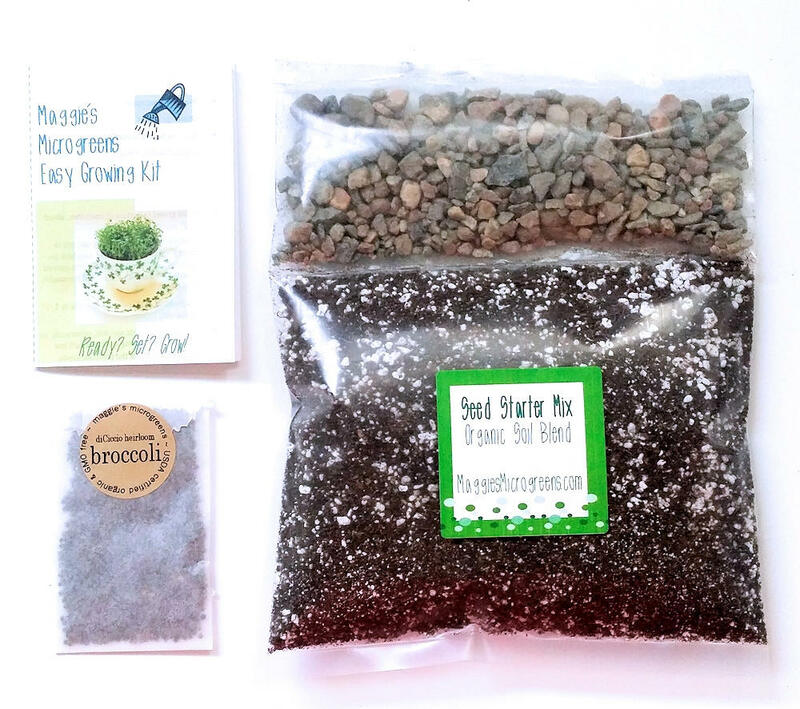 Make your own indoor microgreens garden kit: I provide the organic microgreens seeds, my custom blended seed starter soil mix, drainage gravel and an easy-to-follow instruction booklet. 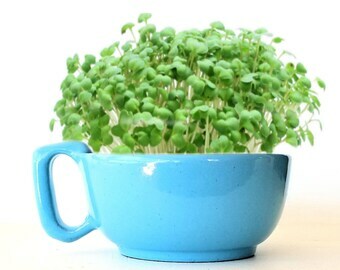 You provide the unique planter! 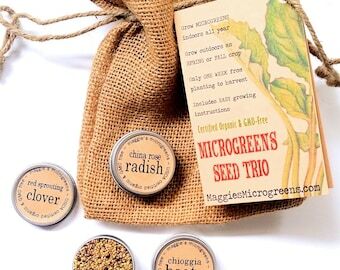 Create your own unique gift for gardeners, gourmets, vegans, cooks or kids! 1. The quantity of my custom soil mix, measured in US 8oz cups. I offer 1-cup, 2-cup and 3-cup soil mix pouches, and I include the appropriate amount of drainage gravel. Nicely done. I should have gotten the one that came with a cup because I might have used these already but I hope to plant them soon!